Why is the FBI’s count of local homicides wrong? Some police departments aren’t properly reporting. How hard could it be to figure out if a murder has happened? You might assume that a body doesn’t simply disappear — especially if there’s a funeral, a police investigation, news reports, a court case. But in Allegheny County, the chronic bungling of reporting by some police departments basically erases dozens of murders from state and federal tallies. Try to find any murder from Wilkinsburg in 2012 or 2015 in the state or national stats. Nothing’s there. 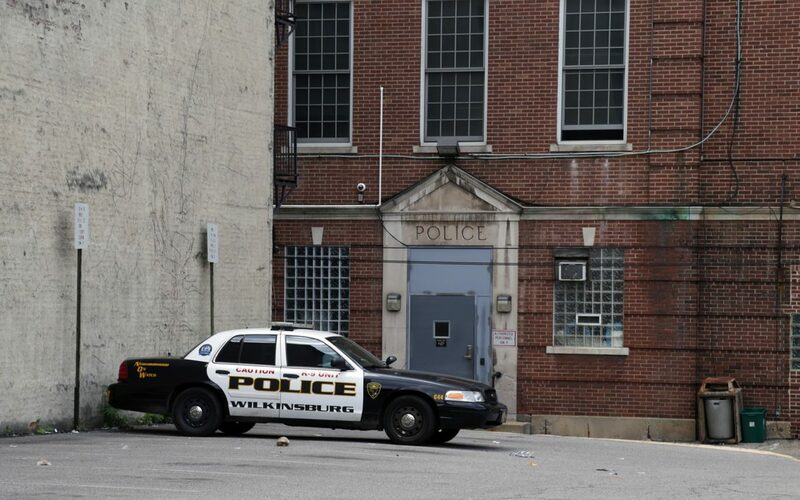 In six years, more than two-thirds of the borough’s cases are missing from those stats, along with handfuls of cases from Stowe, Clairton, McKeesport and North Braddock. The lack of reporting, which is required by state law, means residents concerned about community safety get a flawed view of undeniably violent crime. "Quite frankly, we thought we were meeting our obligations," said Wilkinsburg Police Lt. Michele Krempasky. She was herself surprised to see murder cases missing from the state — and therefore federal — file. At blame could be a combination of clerical error, a cumbersome reporting system and a failure to follow up with county detectives when non-fatal injuries turn into murder. "You've actually pointed something out we need to look into," Krempasky said. In May, PublicSource examined the failure of local police to solve scores of homicides, and because only two organizations — the Pittsburgh Bureau of Police and the Allegheny County Police Department — handle all local investigations, it was fairly simple to learn that Allegheny County tallied 588 murder cases from 2010 through 2015. But check annual federal and state crime numbers, and you’ll find more than 80 cases missing in that period. Not every case investigated as a homicide is classified as a criminal homicide under official criteria, but it’s difficult to explain such a large deviation. "Quite frankly, we thought we were meeting our obligations... You've actually pointed something out we need to look into." In Clairton, Sgt. Jim Carozza said he thinks the stats system is a pain. He’s busy responding to calls and took on the task of reporting crime tallies because no one else wanted the job. “Lord knows I pull my hair out every time I sit down to do these things,” he says. How does the department justify not logging murders — the most serious violent crime that can happen in a municipality? Carozza said it’s probably because the officer previously responsible for reporting didn’t realize that Clairton had to report its own killings when county detectives worked the cases. In other words, Clairton police thought it was someone else’s job. “There was a discrepancy of, ‘Well, it happened, but it’s really not our case,’” said Carozza, who didn’t realize it was Clairton’s responsibility either until informed by the state. Because they don't investigate their own murders, Carozza said they too may not know if assault victims die. For 2010 through 2015, FBI data only includes four murders for Clairton. But county detectives actually investigated 10 (though two are considered justified, which means they do not have to be reported as homicides if the determination was made before stats were due for the national report in mid-March). So is it a big deal to have a handful of missing cases in a tiny city on the Monongahela? In a vacuum, maybe not, but numbers add up when we see that about 30 departments in the county failed to report at least one homicide in that six-year period, either by miscounting, or by failing entirely to report in some years. Calls to the three other Allegheny County departments with five or more missing cases were not returned. About 30 police departments in Allegheny County failed to report at least one homicide in a six-year period. Not reporting is a violation of state law. “There absolutely could be a consequence,” said Cpl. Adam Reed, spokesman for the Pennsylvania State Police, who said state funding can be withheld from delinquent departments. The reporting mandate exists so the state can give residents and officials an accurate view of crime in their communities. If they know murders are going up, they can respond. If murders go down, they can study solutions. Accuracy matters because Allegheny County routinely has the second highest murder total in the Commonwealth. With talk of criminal justice reform, law-and-order crackdowns and concerns about rising murder rates in some U.S. cities, the accuracy of math can have big consequences. It guides policy. It influences police funding, how seriously cities treat violent crime and how residents decide to live their lives. “Ignorance is not bliss,” said Thomas Hargrove, founder of the Murder Accountability Project, a Washington, D.C.-area nonprofit dedicated to publishing accurate data on murder tallies and solve rates nationwide. “If you don’t give the people accurate information, they don’t have the opportunity to challenge their elected officials.” Hargrove and his group are also concerned about discrepancies in the number of cases departments report as solved, a figure that will be skewed if there’s an incomplete total of the number of killings. Reed underscored the need for accuracy in both. Every month, police are supposed to send crime data to the state police. That’s meant to ensure that Pennsylvania has correct data for its own annual report and to send to the FBI for their nationwide Uniform Crime Report [UCR]. An FBI spokesperson said some departments aren’t able to report because of computer problems and personnel shortages. “The FBI appreciates the conscientious efforts made by law enforcement personnel throughout the nation to report accurate and reliable crime data,” FBI spokesperson Stephen Fischer wrote in an email. Because every department in Pennsylvania is obligated by law to report, that nationwide dataset — used extensively by researchers and law enforcement to chart and understand crime trends — should theoretically contain data on Pennsylvania that is free of blind spots. But we know that’s wrong. 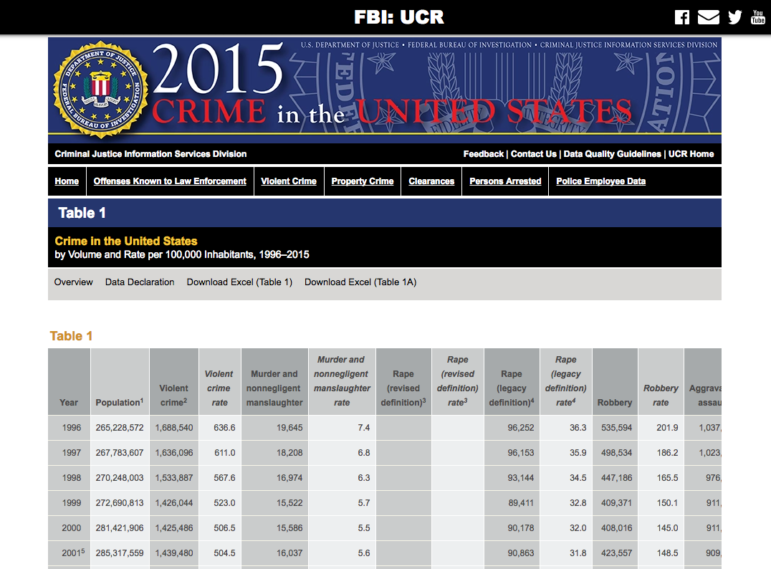 Anyone who spends much time with crime stats takes it as a given that the UCR is missing data. Jeffrey Butts, director of the Research & Evaluation Center at John Jay College of Criminal Justice, cautions against drawing too much excitement in yearly changes for precisely that reason. “There could be wiggle in the numbers because of inconsistent reporting,” he said. Formerly a senior research associate at the National Center for Juvenile Justice in Pittsburgh, Butts recalls one year when new stats came out, appearing to show a major drop in serious violent crime in Pennsylvania. Researchers were clamoring to spread word of what seemed like a miracle. On a smaller scale, that’s what we saw in Wilkinsburg, when state and federal data showed zero homicides for 2012. Actually, there were a dozen, the highest total in Allegheny County outside of Pittsburgh. But really, Philadelphia just missed its reporting deadline, he said. No miracle. Just missing data. Two homicides the next year (only one reported to state police) looks like a spike. Really it’s a drop. That’s a sharp difference between the count of murders we know happened and those that actually appear in state and federal data. The department's internal homicide count is also lower than the comprehensive tally provided by Allegheny County. Wilkinsburg Police Chief Ophelia Coleman said PublicSource's inquiry gave them "food for thought" for how to avoid future errors. Other departments have smaller discrepancies, but even a few missing cases in several communities can add up to significant blind spots. Blind spots can impact how communities respond. Or, if departments violate state law, it can limit the pot of money available to keep residents safe. I had a mentally ill women try to kill me and the courts covered it up and gave me the charge of assault. ?